It could really be said that Chicago was the 1920s! Between the bootleggers, the gin mills, organized crime and the music, Chicago fits the romanticized image many people have of the Roaring Twenties. Chicago was also home to many of the eras most influential jazz musicians of the era. These individuals were known collectively as "The Chicagoans". Chicago was a hub of music and energy. It was also a destination for many black southerners traveling north in search of a new life. Many talented musicians came with this wave of immigrants. Many of these folks had learned their craft on the Mississippi Riverboats and the Bars of New Orleans. They brought a distinctly southern sound to the north. As more, higher quality, musicians gathered a scene sprung up around them, and if you could hold your own you would become part of "The Chicagoans". The New Orleans River Kings was one of the bands that formed around this time, started by Paul Mares. King Oliver's New Orleans Band was also in full-swing. Employing a young coronet player named Louis Armstrong. Behind the tremendous talents of Goodman, Armstrong, Oliver, and many others, Chicago rightly became the hub of jazz music. And the destination for some of the world's best jazz musicians. Bix Beiderbecke, Jack Teagarden, Glenn Miller and Earl "Fatha" Hines all made the pilgrimage to play in Chicago. 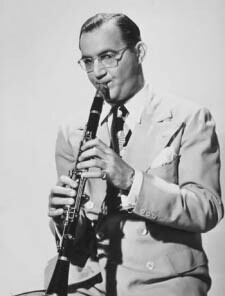 The "Windy City" gave rise to it's own unique style thanks in large part to Goodman's album release in 1926, when he was the tender age of 17. This "shuffle style" jazz was uniquely Chicago. By the last few years of jazz in 1920s Chicago had shifted the musical landscape dramatically and forever. At this point, more of an individual edge took over the industry. 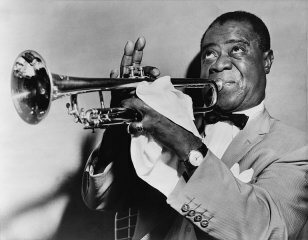 With their immense talents and the industry's backing, players like Bix Beiderbecke and Louis Armstrong had massive influence of the music scene. Despite an industry shift toward New York, Chicago hangouts like "The Three Deuces" became the scene of many fruitful jam sessions bringing together some of the icons of jazz in 1920s America.